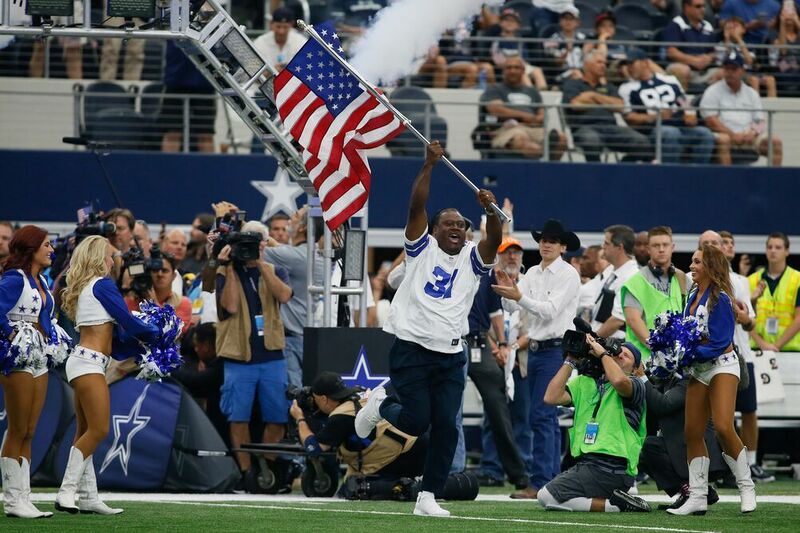 Are the Dallas Cowboy’s really America’s Team? We explore one nominee from each state. For the better part of four decades, the Dallas Cowboys have been synonymous with the moniker “America’s Team.” There was no poll, no election, the Cowboys won in order to win the honor. It was bestowed upon them by an observer, and it stuck. But what if we were more methodical about crowning one United States-based sports organization as America’s Team? With that in mind, we explored the athletic landscape for all 50 states, and have nominated one team from each. As we began making decisions, we sometimes chose simply the most popular team in a particular state, referring to things like in-game attendance, social media followers, and anecdotal observation as arguments. If so much of the state approves of one sports team, shouldn’t the entire country? Sometimes, a nominee is historically successful, and even if that leads to hatred in some circles, a dominant team can point to its championship banners and say, “We’re better than you.” And we must respect them for that. But, sometimes a state is so divided between two teams or programs (often the case with college rivalries) that a third party – hopefully a candidate the state can agree on – emerged. Recent World Championship teams had the inside track. We may not approve of fair weather fandom, but recent winners attract a larger audience and America pays closer attention to them. We took that into account as well. In other instances, we chose a team America should root for, even if it doesn’t in large numbers. There may be a more successful club from that particular state, or a better loved one. However, through some particular set of circumstances, even if it’s only applicable at this particular point in time, we may choose a nominee that’s in the best interest of the nation. Exercises like this can be complicated and will likely never be unanimous. Some large states have many teams to choose from, and smaller states have few. For some states, there is no wrong answer. In others, no right one. However, as we run through the options and nominate one sports team from all 50 states, hopefully we’ve settled on a fair representation for each in the America’s Team discussion. This is probably a surprise pick given the fact that both Alabama and Auburn have much larger fanbases than UAB, and both the Crimson Tide and Tigers have national reach given their history of national championship-level success on the football field. With 16 (claimed) national titles, including four in the past eight years, Alabama is particularly worthy of the “America’s Team” moniker given the large numbers of fans that flock to Tuscaloosa on game days, in addition to those that tune in across the country. It’s worth noting Tua Tagovailoa, who may be the next great Alabama quarterback, signed with the Tide in 2017 out of Hawaii. Five-star running back signee Najee Harris is a California native. Just seven of 28 enrollees graduated from Alabama high schools. Under normal circumstances, the Tide would be the best choice. The Blazers, meanwhile, have never won more than seven games in a season, have gone to only one bowl game in their history, and haven’t fielded a team since 2014. But that last fact is the major reason why UAB has a case as Alabama’s nominee for America’s Team. While the Alabama-Auburn rivalry is one of the most heated in the nation, and there are probably just as many people that hate one school’s team as loves them, the entire country can get behind the comeback story that is UAB football. UAB president Ray Watts announced that the school would eliminate the football program (as well as the university’s bowling and rifle teams) in an attempt to save somewhere in the neighborhood of $10 million per year. Shortly after the program was shut down, however, it was revived thanks in part to public outcry over the decision. The Blazers were even able to retain head coach Bill Clark to rebuild the team from scratch, and prepare UAB for the 2017 season – one in which much of America will be watching, and rooting for, the Blazers.